We are local company expertly performs barbecue repair in East Bay. If your barbecue is broken we can fix it. Our family owned, family operated company has been in bussines for many years repairing all brands and models of barbecues. We serve both residential and commercial clients. 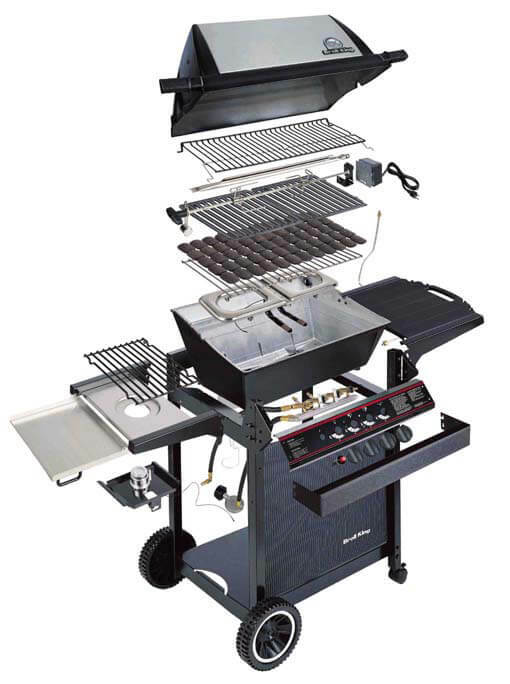 Our team is factory trained and certified to work with major brands of barbecues such as Alfresco, Capital, DCS, Fire Magic, Kalamazoo, Lynx, TEC Sterling, Thermador, Twin Eagles, Viking, Weber and Wolf. We know all brands and models of barbecues including European models and high ticket item barbecues. Whether you have a free standing barbecue or built it barbecue we can help you. We do outstanding job at product maintenance, diagnostics, repair and customer service. We work on gas BBQ, charcoal BBQ, electric BBQ, portable BBQ and smoker BBQ. Usually all it takes is one phone conversation with us to let you know if your grill is worth repairing. And usually it is. You can save a lot of money repairing your barbecue verses buying a new one. Besides barbecue repair in East Bay we also perform a barbecue cleaning services. Clean grill is essential for keeping your food healthy and appetizing. Dirty or improperly cleaned grill will often give a terrible aftertaste or smell to your food. You can read more about improperly cleaned grills here. 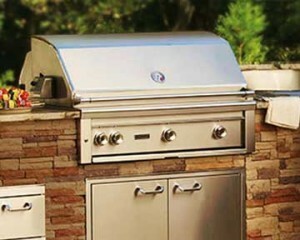 Besides doing barbecue repair in East Bay we also perform outdoor kitchen repair and outdoor kitchen cleaning. A well functioning outdoor kitchen greatly enhances your outdoor living experience. It expands your living space and allows you to cook, eat and entertain all in one place. It is made out of many different components such as barbecue grill, cooktop, pizza oven, sink, refrigerator, wine cooler, dishwasher, beer tap, smokers, hibachi grills, outdoor heater and warming drawers as well as storage drawers and counter top spaces. Because all those complex appliances are outdoors they are constantly exposed not only to daily wear and tear but also to environmental abrasion. 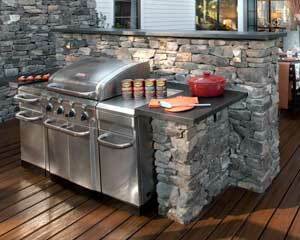 Sooner or later you will need outdoor kitchen repair. Who is better to help you than BBQ Repair Doctor. We have high level of expertise in anything that has to do with outdoor kitchen appliances. Why pick us to do your barbecue repair in East Bay? If you need barbecue repair in East Bay, we are the right people to hire. We have been in business for many years and have lots of experience in fixing and maintaining grills. All our barbecue repair specialists are highly skilled, factory certified professionals. They will do the job right the first time. Also, customer satisfaction is our top priority. Our team is friendly and customer oriented. They will ask you about your goals for your barbecue grill and they will do their utmost to help you achieve those goals. Through out the process we try to save you as much money as possible by keeping our prices reasonable. If you can dream it, we can make it a reality! We are your local barbecue repair in East Bay specialists. Our service area includes Alameda County, Contra Costa County and Santa Clarita County. Just call us at 510-731-6480 or fill out this application and our skilled barbecue repair specialist will be at your door at no time.